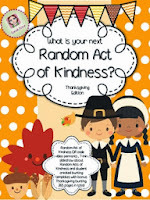 As mentioned in previous blog posts, I promised to use money earned from my Random Acts of Kindness Thanksgiving Bundle towards helping people in my community. I have purchased a collection of Christmas gifts for Giving Trees around town and donated food for charity food hampers. My Thanksgiving Bundle was lucky enough to feature in the TPT newsletter and sold a lot more than I expected. In the spirit of Paying it Forward and Random Acts of Kindness I was inspired by a fellow tpt seller 'Literary Sherri' who has been supporting a site called KIVA. Kiva is a non-profit organization with a mission to connect people through lending to alleviate poverty through micro-financing. Kiva lets individuals lend small amounts of money to help create opportunity around the world. Sarah Annes Creative Classrooms (that’s me :) has just started 2 loans with the profits from my Thanksgiving and Christmas bundle. The loans will be helping Oahn in Vietnam http://www.kiva.org/lend/644038 and Kanha in Cambodia http://www.kiva.org/lend/643997 both women are seeking loans to fund higher education. A wonderful cause!! What a wonderful way to spend my profits from my random act of kindness bundle - it just feels right! Thanks to everyone who purchased it, if you are yet to purchase - feel free - i'd love the chance to make more loans in the future. 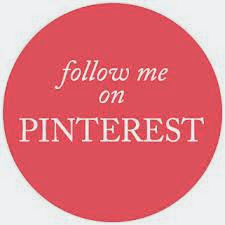 Sarah Anne, I made a new Kiva loan this holiday season, also! I agree with you -- it just feels right to give back in this way! It is sustained giving that will help over and over again! I'm SO grateful you have discovered Kiva, too! I'm so thrilled you are using these bundles to fund such a great cause! Wishing you a productive and prosperous 2014 . . . thank you for paying it forward! Thanks Sherri. I just go my first repayment. Amazing! Good luck with 2014.